a test pilot for a [secret] government project named Pegasus. Are the two the same project? "P.E.G.A.S.U.S. was name dropped ... in Iron Man 2, then it's also at the top of Avengers 1," said Feige. "And it was early on tying her into that early MCU. What do we know about the period of the MCU in the years before Iron Man? Well, the Tesseract and P.E.G.A.S.U.S. were part of it. And then also you're seeing another side of that same facility was interesting." This is an interpretation based on actual facts from the movies, you can recheck them and burn me in the stake if I'm wrong, but please do it so based on similar data. 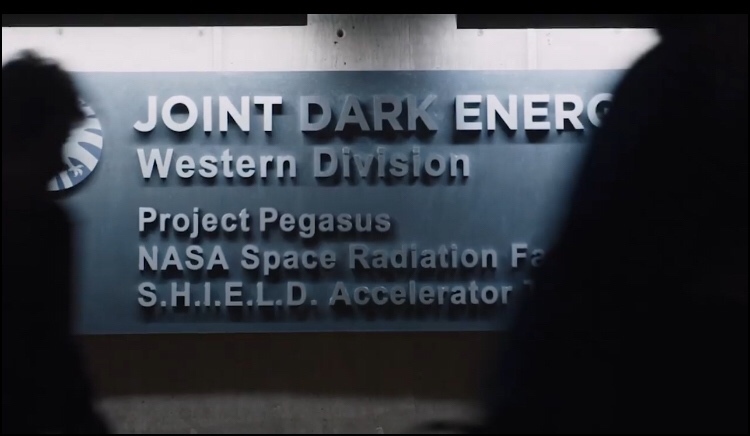 Project PEGASUS might have the same name and be in the same facility, but in Captain Marvel is NOT a SHIELD Project. SHIELD is aware of Project PEGASUS. In the movie Nick Fury says Pegasus location is classified. However, his low security clearance is enough for him to know where it is. At the gate he identifies as a SHIELD Agent, he is not saying "this is Agent Fury" he is saying: "Nicholas Joseph Fury, Agent of SHIELD", this may be an overstretch but one can imply from this that he is from an agency that is external to PEGASUS. When they're in, there's not a single SHIELD scientist or agent in sight and they're received by military personnel. Then they are being kept waiting and decide to look for themselves, that's when Fury sends a beeper message to SHIELD asking to come and help them. If this were a SHIELD base they would be surrounded by agents in less than 5 minutes, since... it's a SHIELD base. But they're not. One can also think that being a SHIELD Project there's no need to go look for intel since they already have it... unless this is a top secret undercover HYDRA base that nobody knows about (like the one in Captain America: The Winter Soldier) or from another entity (like the Guesthouse in Agents of SHIELD). But this is a simple government research facility accesed also by NASA which is already known to a Level 3 Security Agent like Fury. Another detail is that in Avengers, Project Pegasus is oficially looking for new energy sources (though they're really making weapons, as Captain America discovers later in the movie), while in Captain Marvel Project Pegasus is developing new aircraft (which makes more plausible the participation of the US Air Force). My take, based on The Avengers Prelude: Fury's Big Week is that this project was ditched by the Air Force, taken by the World Security Council and reassigned to SHIELD, with an entirely new objective (they even threw away the logos). Project P.E.G.A.S.U.S. (or Pegasus) was the name of the joint NASA-United States Air Force project run by Wendy Lawson. The goal of the project was studying the Tesseract in order to build the Light-Speed Engine. The Project was shut down upon Lawson's death in 1989 and restarted by the World Security Council and S.H.I.E.L.D., to continue experiments on the Tesseract, until the actions perpetrated by Loki rendered the project defunct. Not the answer you're looking for? Browse other questions tagged marvel marvel-cinematic-universe the-avengers-2012 captain-marvel-2019 or ask your own question. How did the power source of Mar-Vell's aircraft end up with her? Why are the Secret Avengers secret? What are these events from Widow's past? What are these other relics in the movie Thor? Who are these two people from the Avengers: Age of Ultron trailer? Which characters are dead in the MCU as of Guardians of the Galaxy 2? Are the Kree the good guys? Could when did the post-credits sequence take place greatly affect the events of Endgame?